Three decades of on-snow training at Thanksgiving continues in Crested Butte! personalized coaching that caters to all fitness levels. Get a jump on your nordic ski season with our early season instruction! Skiers who have skied occasionally, but not had much instruction; or have skied a couple times each winter but ski fitness is low. Skiers who have skied frequently, have had some coaching and know what to do, and want tips and skills to ski more efficiently and faster. You can identify different ability levels for different techniques – you may be an intermediate in Classic, but beginner in Skate. You can change groups at any time – even in the middle of a clinic; our coaches will help you decide if a different group is best and assist you in sliding over to a better match for your ability and fitness. You can change groups at lunch if you get too tired to keep up, or feel you need a different level. When in doubt, choose an easier group – better to start in an easier group, get your skills mastered and move up, than to get discouraged skiing with stronger skiers. We will have 2 coaches in groups with 8 or more – those groups will split again by ability 10-15 minutes into the clinic. All clinic costs include a complimentary CB Nordic trail pass. We offer multiple 90 minute sessions for individuals curious about trying nordic disciplines for the first time. These group lessons will be geared toward introducing “never-ever” participants to basic classic and skate ski techniques. We offer full day Skate & Classic clinics with professional instruction and video analysis for recreational through advanced ability levels. Participants will be divided into groups based on ability at the outset of camp. Groups will be comprised of no more than 8 students per instructor. Less experienced skiers will get frequent breaks with refreshment in a heated enclosure. Video analysis of your technique will be captured and reviewed on snow to maximize your learning experience. Full day clinics on Friday and Saturday include a morning and afternoon session, separated by a lunch break. Sessions run approximately 2.5 hours long. The Full Day Clinic fee includes complimentary hot soup lunch at the Nordic Center. Our Kid’s Camp provides kids, grades K – 6th, an opportunity to experience the “fun”damentals of nordic skiing with on-snow games, obstacle courses and winter adventuring! Understanding that younger kids may not be inclined to spend a full day outside on snow, camper’s will have the afternoon to free play at a local indoor gymnasium. After being served soup lunch at the Nordic Center, kids will be chaperoned by camp instructors to the Jerry’s Gym, located at the Town Hall in Crested Butte. Kids Camp Registration includes: ski equipment, instruction, hot soup lunch and gymnasium admission. Join us for 2 1/2 days of skills, drills, games and easy distance skiing on Crested Butte’s awesome trail network. This camp is designed especially for young skiers who are not quite ready to join their teammates at the West Yellowstone Camp, but want to get a jump on their technique and fitness for the coming season. We invite coaches to ski along with the kids, help coach and learn from our coaches. No fees for coaches who bring 3 or more skiers. 9:00 a.m. – 11:00 a.m. Classic Technique – Opening games, skills, drills and easy technique skiing. 1 p.m. – 3:30 p.m. Skate Technique – Opening games and challenges, then easy skiing with kids of your same ability. 9:00 a.m. – 11:00 a.m. Classic Technique –skills, drills and easy technique skiing. 1:00 p.m. – 3:00 p.m. Skate Technique – easy skiing with technique tips, fun drills and sprints. 9:30 a.m. – Skate Race – 3km, low key fun race – just ski fast & have a blast! Commemorate ski camp with athlete camaraderie at this evening social gathering. Slideshow featuring camp ski action and Nordic themed entertainment will be presented. Join fitness professional and ski enthusiast, Ginny Turner of CORE Fitness for specific strength that supports your Nordic skiing. Ginny will take you through several core and Nordic ski stabilization exercise programs to support your skiing throughout the season. A virtual link to the training program, including video tutorials, will be emailed to each participant to maintain your strength regime at home! Sign up Friday morning at Camp to schedule your session. Friday – 4:00 p.m. to 5 p.m.
Join our coaching staff and wax reps from Toko and Swix for an hour of snacks, beverages and waxing instruction! We will have numerous wax benches and coaches to provide personalized hands on experience with kick wax, glide wax, scraping and brushing. Is it really possible to wax, scrape and brush your skis with a glass of wine in one hand? Come find out! A fun filled, multi-lap course will be set to put your new skill’s to the test! Set course will incorporate lot’s of agility and maneuvering with NO big climbs. This race against the clock is the perfect opportunity to get an idea for how your technique holds up under fatigue. Video analysis of race performance provided to camp participants. A full fleet of Fischer Skate & Classic set up’s will be available to demo Friday through Sunday. Gear will be distributed on a first come, first serve basis, starting 8:00 AM daily at Fischer Tent outside Nordic Center. Nathan Schultz is a former professional skier and Founder of Boulder Nordic Sport. Nathan lives in Boulder, Colorado and stays busy juggling making a living in a small niche industry and raising a daughter who is reluctantly turning into a cross-country skier. Kevin (aka “Professor K”) grew up in Whiting, IN playing basketball and baseball then later moved on to cross-country running and wrestling, finally finding success in cycling. Racing through college led to starting a coaching company to help adult clients reach their full athletic potential. In 2011 Kevin moved to Crested Butte where he took up Nordic skiing and hasn’t looked back, becoming a PSIA certified Instructor. This is Kevin’s third year on the staff working with first-timers, Masters racers and everyone in between. A Vermont transplant, Murray has been a long time coach in West Yellowstone and Crested Butte camps. He blends experience as a school teacher & coach with training and racing for national and world championships in skiing and triathlons. 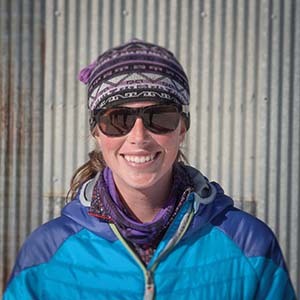 A transplanted Philly girl, Jenn is a PSIA certified Nordic Instructor and brings a fun, enthusiastic energy to Nordic skiing. With 35+ years performing in complex skill sports ranging from alpine skiing, dance, gymnastics and sculling, she understands the importance of being body aware, taking things slow, and that style points DO matter. Joellen loves everything about winter, just makes her smile. Joellen has lived in the valley for 30 years and is passionate about sharing Nordic skiing with everyone. With one season at Crested Butte Nordic and PSIA certified she is hitting the ground gliding. In the off season, you can find her on a road or mountain bike “going out for a long one”. Toni brings additional international flair to our camp with Swedish and Finnish heritage. He returned “home” last winter to compete in the Vasa Loppet in Sweden. Toni has been a CB Nordic instructor for several years and helps coach the CB Masters training group. Barb is a deep rooted Crested Butte nordic instructor, who routinely skis with the CB Masters Training Group. She has been coaching with the youth program for the past 3 years and has a passion instilling a love for nordic skiing in the early years of life. Her son & husband are avid skiers as well, so you’ll find her family on the Crested Butte tracks many days a week. Barb is a New England transplant and raced in Vermont throughout her childhood and at the University of Vermont. She has a knack for creating tips that skiers can easily use to improve technique… and she always makes it fun, as you can see in her photo winning the Alley Loop in a tutu and top hat! Brittany grew up in Breckenridge, CO and skied competitively for the Summit Nordic Ski Club throughout her youth. She then moved on to ski for Western State Colorado University and moved to Crested Butte upon graduating. Brittany has been the recreation program coordinator for the Crested Butte Nordic Team for the past 3 years. A transplant from Vermont to Crested Butte, Jane has coached masters and children’s programs for 30+ years. She is a Masters National and World Champion, but it is her experience as a high school teacher and coach allows her to blend skiing technique with fun drills and skills. Most recently, Jane coaches the Crested Butte Gray Hares, a team of skiers who are age 50+, who meet weekly for ski outings and coaching. Jon brings the best of both worlds to our Kids Camp…He is a 30+ year veteran elementary school teacher and is currently teaching middle and high school physical education. He holds a USSA Level 200 Nordic ski coaching certificate and is an annual Wave 1 American Birkebeiner ski racer.